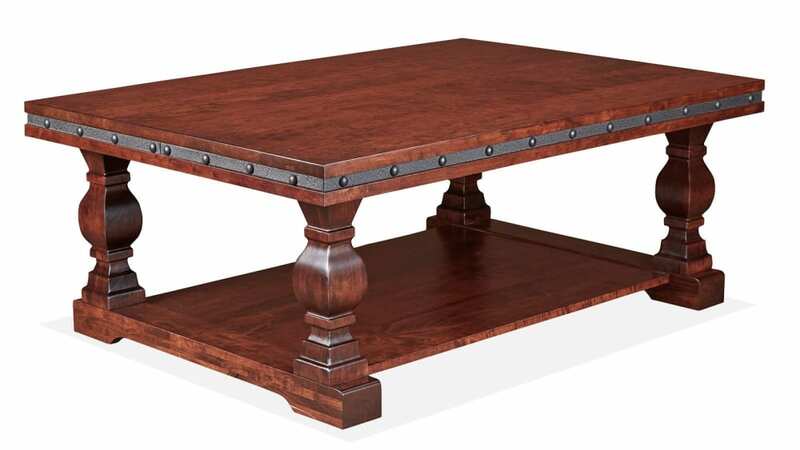 Designed in a Mission style, and built with sustainably harvested cherry wood and stunning iron accents, this table will be a stunning addition to any living space. Combine it with the Big Bend Solid Wood Home Collection, use Gallery Furniture's same-day delivery service, and upgrade your home TODAY! 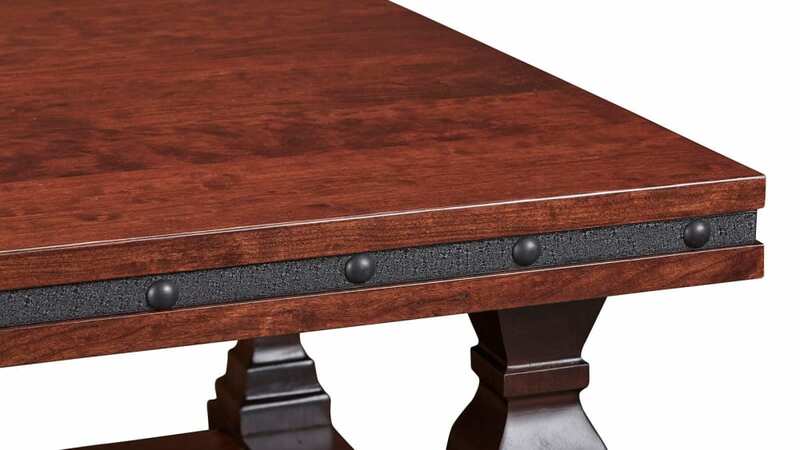 Constructed with masterful skill and quality materials, this wonderful table was Made in America! 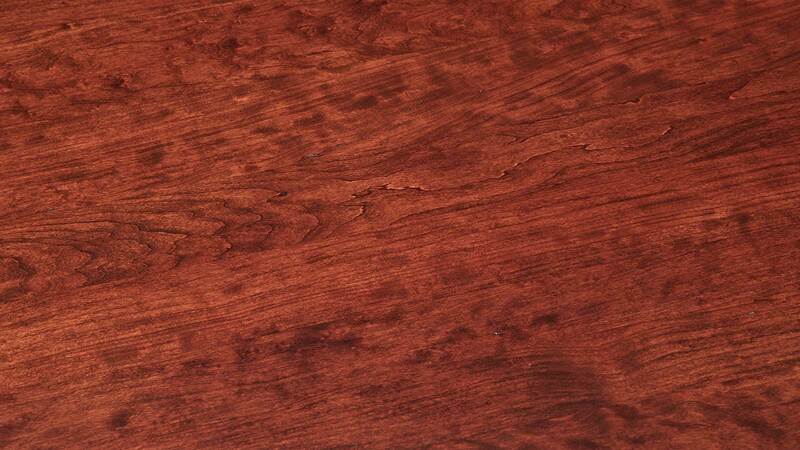 Solid cherry wood construction is both durable and stylish. A rich, warm finish helps you create a welcoming look. Carved legs and heavy iron trim add authentic vintage appeal. The lower shelf can organize living room clutter. Nothing beats the quality of real solid wood furniture. 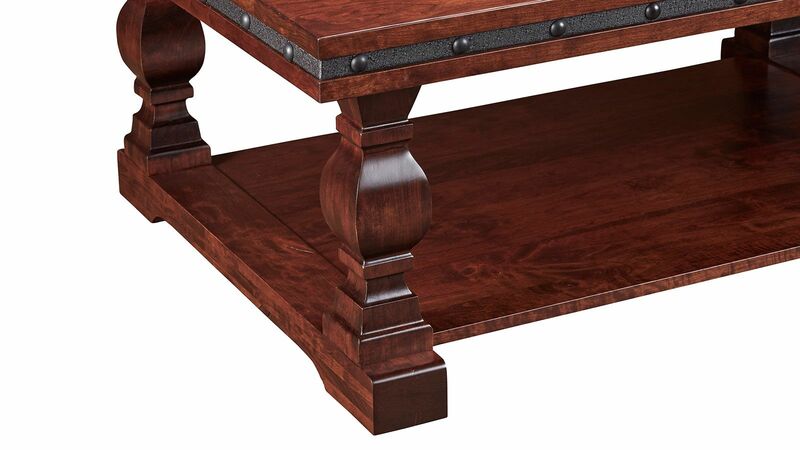 This table was constructed using time-honored techniques and the finest solid wood around. Even after years pass, this coffee table's sophisticated look will still shine. You've found the missing piece to complete your living room setup. 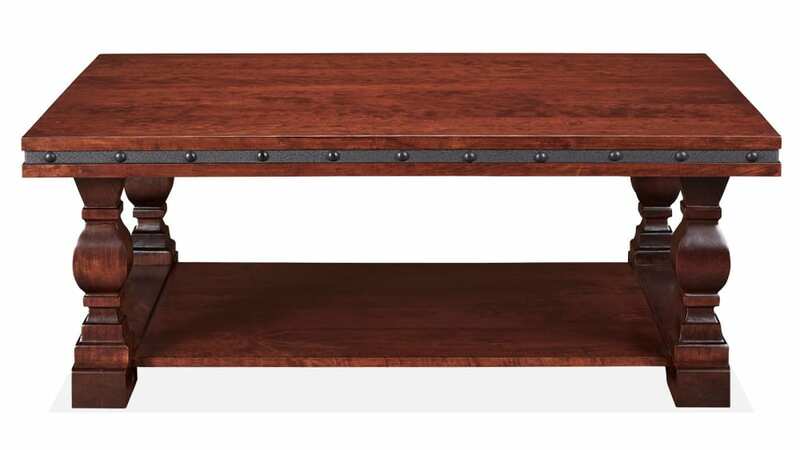 With Gallery Furniture's same-day delivery, you can bring this coffee table into your home TODAY.